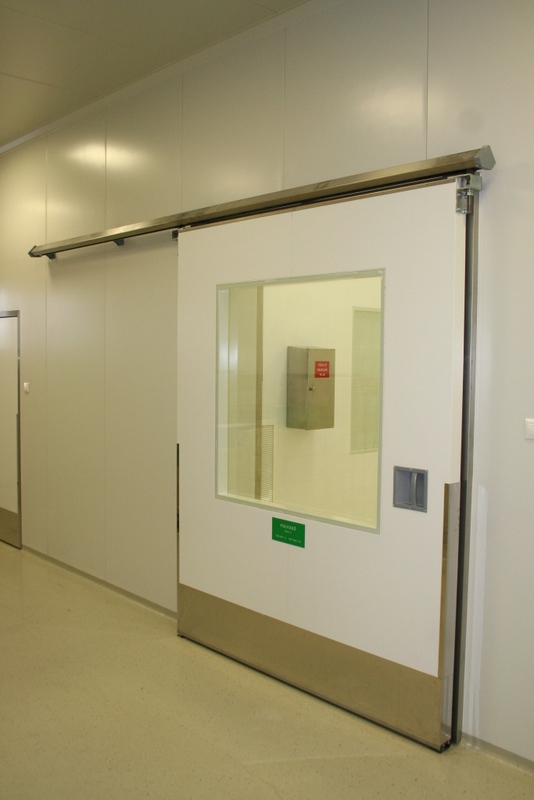 For clean area uses we recommend a guide rail type similar to operating theatre doors or a non-corroding guide rail solution as used in the foodstuffs industry, with special plane-retaining window solution and bottom guide rail. 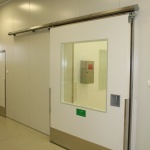 For clean area normally operating doors, in the case of sandwich panel reception structures the size of the frame structure is nearly the same as the thickness of the sandwich panel, which is pulled onto the panel with simple silicon bedding fixing, and the frame is panelled all around. 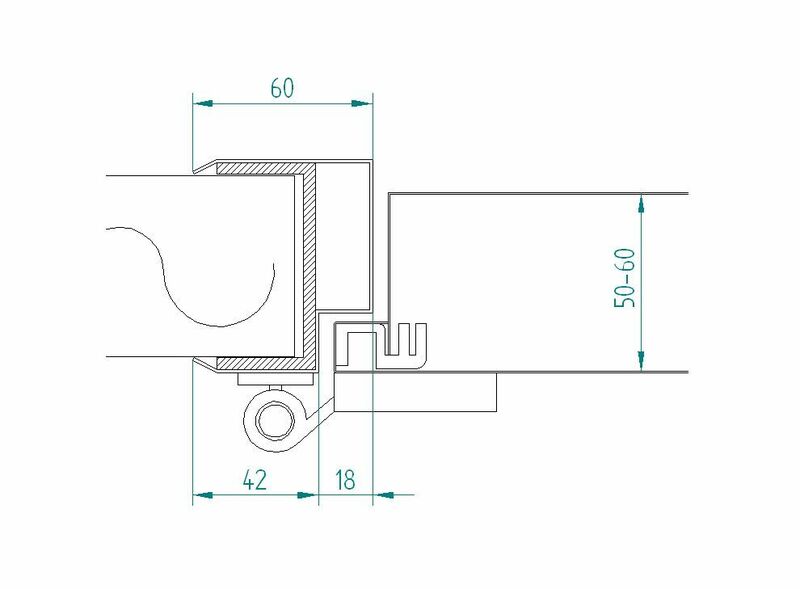 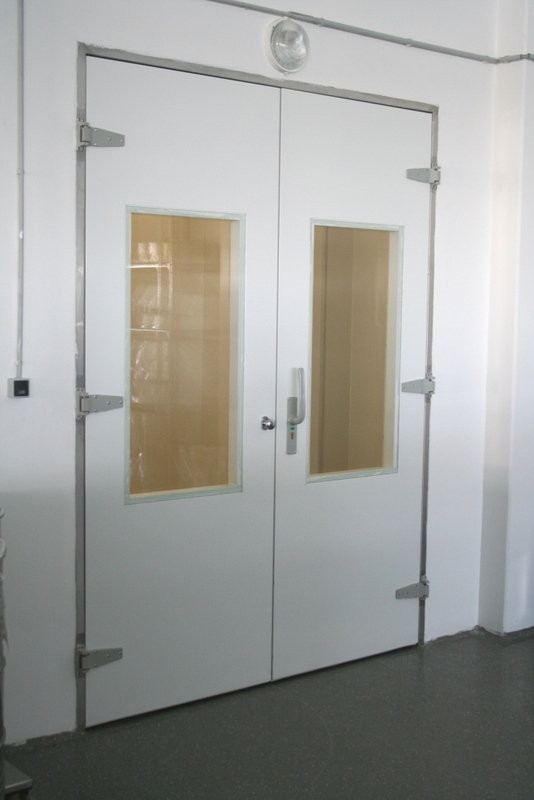 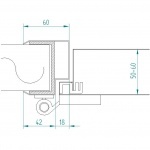 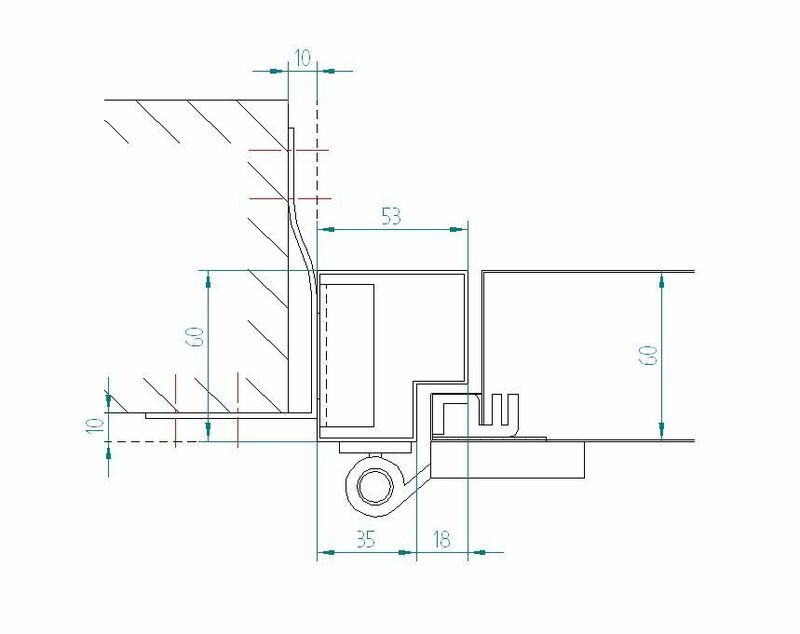 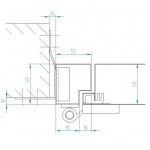 In the case of wall-mounted normally operating doors the non-corroding frame has a thickness of 53 x 60 mm-, or 53 mm x total wall thickness, it can be fixed with fixing tabs welded to the frame, or with bolts driven through the frame into wall plugs. 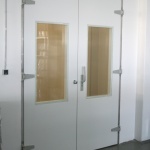 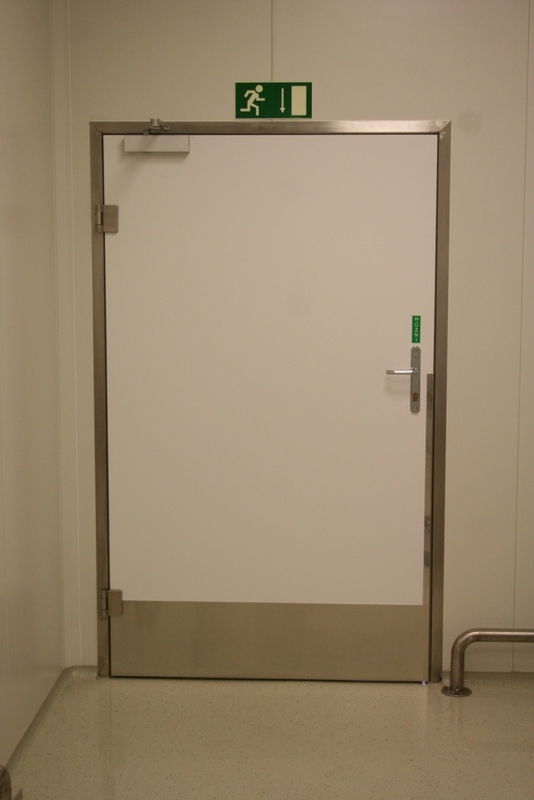 The door wings are fitted with stainless steel hinges that raise the door on opening or with a moving threshold. 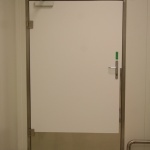 In the case of hermetic closing we manufacture our doors /normally operating or sliding/ with rubber seals that conform to the hygiene prescriptions, in normal cases or in the case of overpressure we manufacture them without rubber seals.